If you’re visiting London with kids in tow, how can you choose where to stay, from the thousands of options on offer? Whether you’re looking for five-star luxury, a budget option, or anything in between, do you want to know what a place is really like before you commit to staying there with your kids? If your answer is yes, you need to check out some professional blogger reviews. 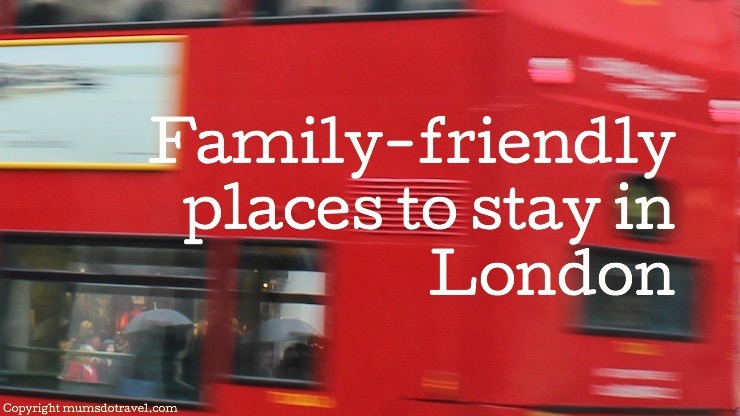 I contacted some of my fellow professional family travel bloggers to ask where they’d recommend families to stay in London. They’ve shared some great reviews of places which they’ve experienced. So, here’s a list of some family-friendly places to stay in London which I, or another trusted family travel blogger, have visited and recommend. I stayed at the newly-opened Amba Hotel Marble Arch with my husband. The four-star hotel is on Oxford Street, London’s busiest shopping street, close to Hyde Park. Our room was comfortable and luxurious, and featured a Nespresso machine and an iPad as well as the usual hotel provisions. I was struck by how quiet our room was, even though the hotel is right in the middle of the West End. You can read my review here. 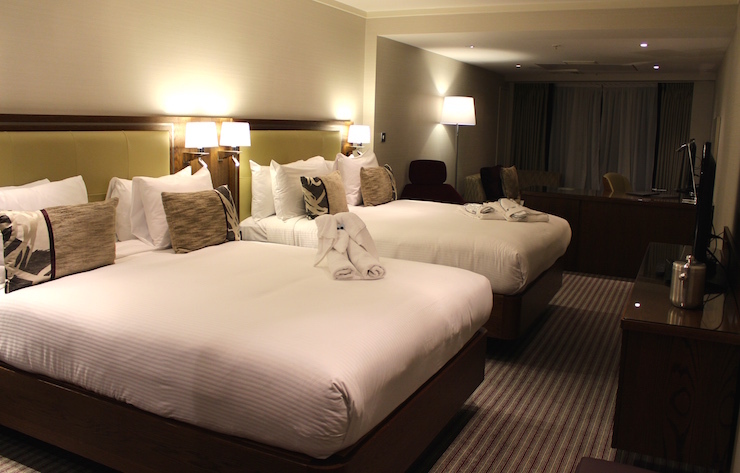 The family rooms at the Hilton London Metropole are said to be some of the biggest in London. I stayed there with my family for one night and I can confirm that the rooms are huge. The hotel has more than 1,000 rooms and is by Edgware Road underground station, so it’s easy to get to different parts of the city. I enjoyed using the indoor pool before breakfast. You can read my review here. The St Pancras Renaissance is a beautiful Grade I listed building which is next to the Eurostar platform at St Pancras International train station. Originally designed by George Gilbert Scott, it was one of London’s most expensive hotels when it opened in 1873. After a complete renovation and 2011 reopening, it’s a splendid and unusual place to stay and offers family rooms. You can also take your dog along to stay there with you. You can read my review here. Grand Staircase. 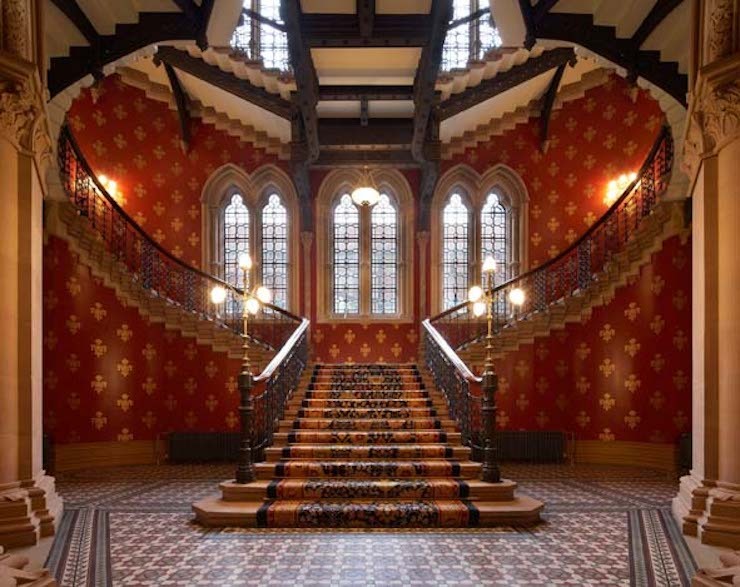 Image courtesy of St Pancras Renaissance Hotel. The Royal Garden Hotel Kensington is a five-star hotel in Kensington, one of London’s wealthiest areas. The hotel is right next to Kensington Gardens and is in a great location for visiting some of London’s world-class attractions, such as Kensington Palace, the Science Museum and the Natural History Museum. Both Emma (who blogs at Bavarian Sojourn) and I have stayed at the hotel – on different occasions. I was there for a blogger event, while Emma stayed there on a family trip. Emma says: ‘Royal Garden Kensington really are amazing when it comes to smaller guests and I would gladly go back’. You can read Emma’s review on her blog, A Bavarian Sojourn and you can read my review here. The Sofitel is a grand Regency hotel at the end of Regent’s Street in the West End. Blogger Nichola West and her young family enjoyed a relaxing stay at the five-star Sofitel. Nichola says ‘The hotel is perfect for families looking for a luxurious break in the centre of London. There’s plenty here that children will love and we were made to feel very welcome.’ You can read Nichola’s full review on her blog Globalmouse Travels. Blogger Nisbah is a Travelodge fan. She says: ‘We do not stay in expensive hotels in London as we are hardly in the hotel. We have stayed at the Travelodge Covent Garden, perfect for central London. An absolute steal as we have managed to get rooms for as little at £40 for a family room and you are 5 minutes from Leicester Square and Holborn. The other one we stay in is the Travelodge Woking which is perfect for the London theme parks. We normally get a family room which is only £30, free onsite parking and the hotel is under 30 mins from Legoland, Chessington and Thorpe park. Oh and Travelodge have an offer, free breakfast for two children for every one paying adult! So worthwhile, especially in London.’ You can read more on Nisbah’s blog Five Adventurers. 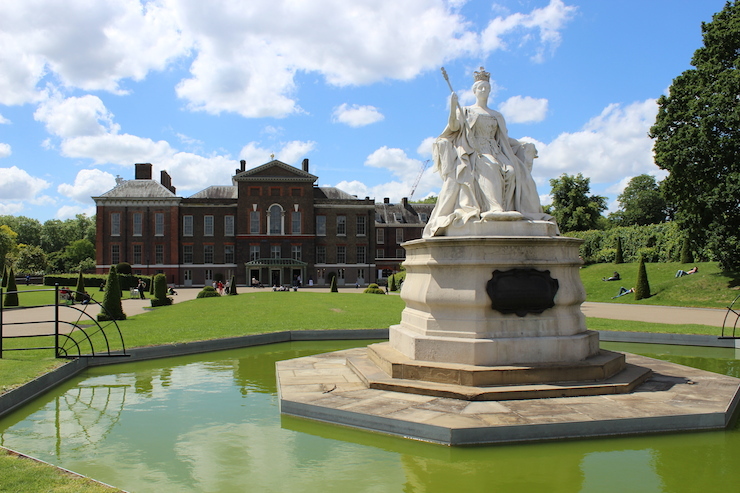 Blogger Sarah Ebner and her family all enjoyed staying at The Rubens, a luxury hotel which is opposite the Royal Mews of Buckingham Palace, the Queen’s London residence. The hotel welcomes families, and Sarah’s kids loved taking part in The Rubens Pastry Experience in the hotel kitchens, but the most exciting part of their stay was that Sarah and her son actually saw Queen Elizabeth II, Camilla and Prince Charles! You can read their full review on their blog Family Travel Times. Sarah’s son Robert really enjoyed staying at The Marylebone Hotel, a five-star hotel which offers luxury family packages. Robert was particularly impressed by the tepee in his room and the great selection of cocktails on offer. You can read his review on his family’s blog Family Travel Times. 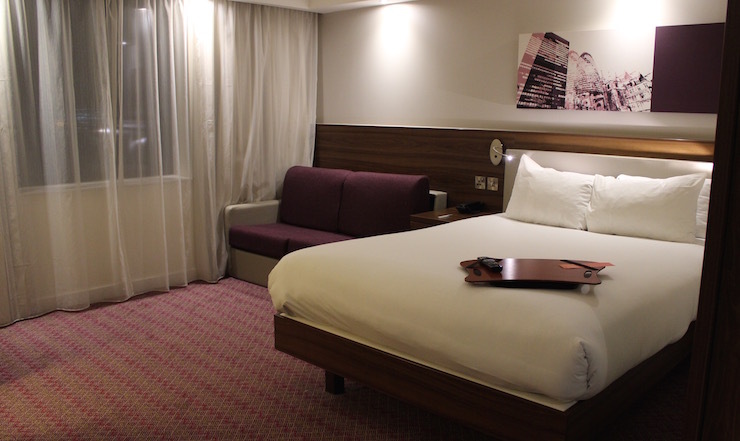 BritMums co-founder Jen Howze, who blogs at Jenography, enjoyed staying at the Holiday Inn Camden Lock with her family. Holiday Inn hotels are very family-friendly, and under-12s can stay and eat for free. Jen was pleased with their rooms, the hotel facilities and the location. Jen says that the hotel lounge area was a highlight: ‘What I really liked was the vibe: casual, communal, congenial.’ You can read Jen’s review on her blog jenography. London-based blogger Uju Asika loved staying at the very grand Charing Cross Hotel with her husband and their two young boys. 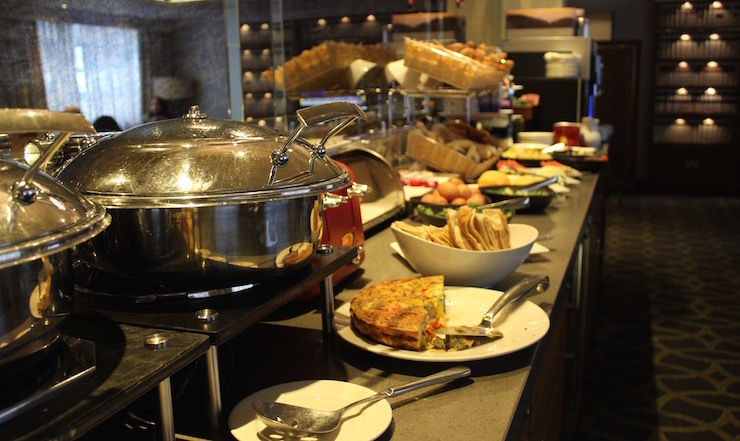 They stayed in a spacious family room and were impressed by the Kids’ Afternoon Tea menu. The hotel is in a great, central location and is perfectly placed for exploring Covent Garden. You can read Uju’s review on her blog Babes About Town. 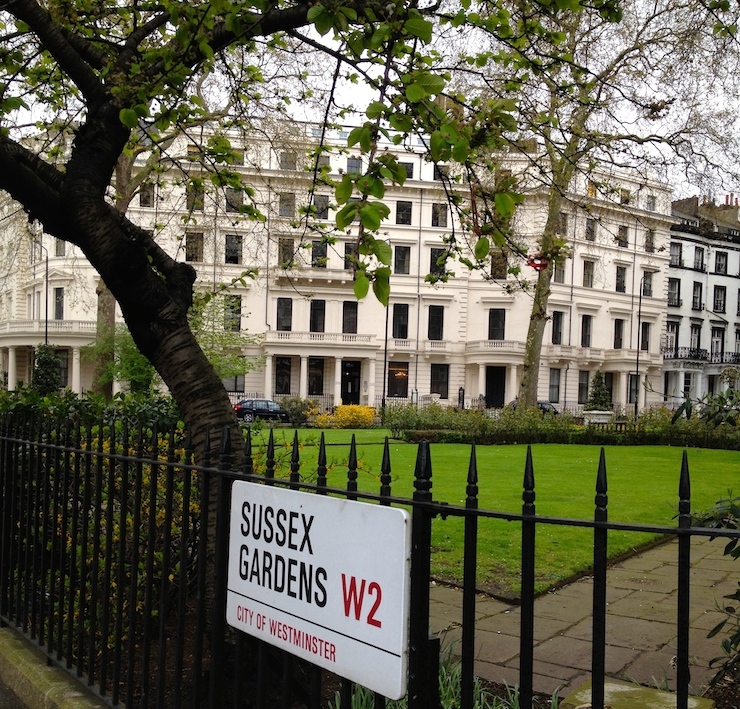 I stayed in a one-bedroom serviced apartment at Go Native Hyde Park with my family. The stucco fronted building dates from 1840 and has been renovated and converted into upmarket serviced apartments which you can rent by the day, week or month. The apartment was comfortable, had everything that we needed and is in a great location for exploring London attractions. The apartment that we stayed in was great for us, but it wouldn’t work for toddlers as it has a mezzanine level which is reached by a spiral staircase. You can read my full review here. Canadian blogger Lisa Goodmurphy loves visiting London with her family. The last couple of times that they’ve stayed in the city they’ve based themselves at Citadines Trafalgar Square. They chose the aparthotel accommodation primarily for its central location, because they wanted to explore the city on foot as much as possible. Lisa says: ‘The Citadines Prestige Trafalgar Square is ideal for families visiting London who are looking for spacious apartment-style accommodations in a central location.’ You can read Lisa’s review on her blog Gone with the Family. Blogger Trish Burgess says that this is her favourite place to stay in London. 51 Buckingham Gate offers five-star serviced apartment suites which are just minutes away from Buckingham Palace. The suites range from one to nine bedrooms, and all have their own luxurious kitchens, bathrooms and living rooms. With details such as children’s robes, slippers and toiletries in the bathrooms, toys in the bedrooms and a separate children’s dining menu, this is somewhere to make children feel really special. You can read Trish’s review on her website Mums Gone To. Blogger Uju Asika says that staying at boutique Flemings Mayfair with her family was a ‘heavenly’ experience. They stayed in a luxurious one-bedroom apartment and Uju was impressed by the warm welcome which was offered to the children. Flemings Mayfair is in an historic Georgian building close to Green Park. You can read Uju’s full review on her website Babes About Town. Writer Louise and her family enjoyed staying at YHA St Pancras hostel. They had a private family room with an ensuite shower room. Louise has three children and she says that finding budget accommodation for a family of five can be tricky. Louise says that the hostel is very family-friendly: ‘YHA St Pancras is in an absolutely perfect location for exploring the UK capital with children and is a great budget family stay in London.’ You can read Louise’s review on Globalmouse Travels. I stayed at the Hampton by Hilton London Gatwick with my family before an early morning flight. It was perfect for what we needed, and couldn’t be more convenient for the airport. We all shared a room and managed to grab breakfast at the hotel before we checked in. Parking was included in our overnight stay package – we parked our car next to the hotel and picked it up a week later. You can read my review here. I stayed at the Premier Inn at Heathrow Airport with my daughter before an early morning flight. I like Premier Inn hotels for overnight stays – they’re a good, budget option. The rooms are clean, well-furnished and practically identical, so you know what to expect. The breakfasts at Premier Inn hotels are usually great, but on this occasion we had to leave too early to eat it. The hotel is four miles’ drive from Heathrow Terminal 4. You can read my review here. Thank you very much to the bloggers who shared their London reviews. There are always loads of amazing things happening in London, and I publish a monthly round-up of the top things to do in the city for families with children and teenagers – you can find the latest version here. If you’d like a London guide book, I recommend both the Lonely Planet London Travel Guide and the London Marco Polo Travel Guide. Do you have any family-friendly London accommodation recommendations? Do let me know in the comments below! Disclosure: This post contains some affiliate links, which means that if you clicked through and booked I may receive a small commission. I was hosted at the hotels where I stayed, for review purposes. All opinions, images and words are my own, as ever. Hello! I’m visiting London for the first time with my hubby and 2 kids (11 and 8 yo) in the winter. First time there. We’re considering renting an AirBnB. If so, what neighborhood should I be looking into? We’re not renting a car and our 6-day trip will cover the basics of London. Please help me! I have no idea where to start looking for… Greenwich? Notting Hill? Thank you so much! Those are both nice areas. London is a big city, as I’m sure you probably know, but the public transport system is good so it’s easy to get around. Maybe a useful starting point would be to think about what you want to visit when you’re in London, plot the locations of those attractions on Google maps, then decide on a convenient area to stay. Also, there are lots of excellent parks in London, so you may want to be near one of those if your accommodation doesn’t have a garden. Good luck, and let me know if you want any more advice. Good list! Thanks for including me! What a a conprehensive list – really useful for anyone who wants to come to London with children. Hotels in the capital are a bit of a mystery to us, as we live so centrally, so it’s very useful to have this list just in case we need to point any friends or family in the direction of a decent place to stay. You’re welcome – I was happy to add them as your reviews are great and they look like excellent places to stay. You’re welcome – thank you for sharing it! useful list thank you! I always have people ask but never know what to recommend. Close friends and family just stay with us. Thanks Shobha – I’m glad that it’s useful.